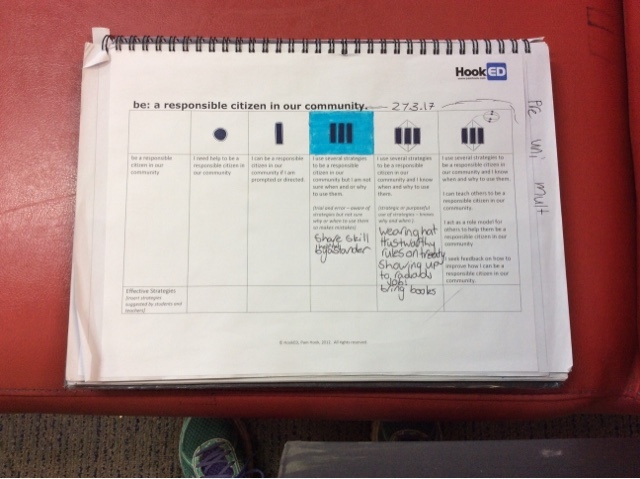 This term we learned about how to be a responsible citizen. When we first started I thought that on the rubric I was unistructural because I picked up rubbish sometimes. I think that I have definitely learnt a lot. I’m definitely much more of a responsible citizen now than I was, because I pick up rubbish way more often than I used to , return others property when I borrowed it , wear my hat everyday and be a helpful bystander, a good role model and I always do my school work and jobs. I would say that on the rubric I'm now relational because I used different strategies to be a responsible citizen and I know when and why to use them. My project helps the community know how to take care of a young dog . Sadly yesterday I wasn't here so I missed out on talking and telling them about how to be a responsible pet owner. My challenges were deciding how to present my learning and finishing on time. Overall I am very proud of my learning - this is a valuable thing to learn in life. Are you a responsible citizen? If you are then you will know the important qualities a responsible citizen needs. One of the important qualities are following rules and laws. If we didn't have rules or laws the world would be a dangerous place, people would threaten to kill and start to lose their family and friends. So this quality is important because it keeps us safe and brings our community close together. Another important quality is trustworthy because if people aren't trustworthy we wouldn't be able to have banks because people wouldn't trust the government to keep their money safe. People couldn't work by themselves, because they might not do their own job. That’s why this quality is important because people can have some freedom and be by themselves.